It is usually bought by the owner of the building but the general contractor constructing the building may buy it if it is required as a condition of the contract. 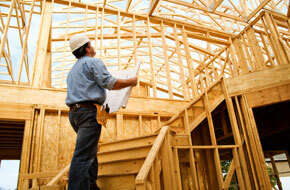 It may be necessary to show proof of insurance to comply with local city, county and state building codes. Builder's risk insurance is a special type of property insurance that indemnifies against damage to buildings while they are under construction. Builder's risk insurance is "coverage that protects a person's or organization's insurable interest in materials, fixtures and/or equipment being used in the construction or renovation of a building or structure should those items sustain physical loss or damage from a covered cause." Builder's risk insurance usually indemnifies against losses due to fire, vandalism, lightning, wind, and similar forces. It usually does not cover earthquake, flood, acts of war, or intentional acts of the owner. Coverage is typically during construction period only, and is intended to terminate when the work has been completed and the property is ready for use or occupancy.